This doesn't happen very often, so you know you need to take note. 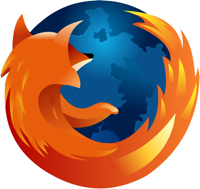 The latest version of Firefox (Firefox 2.0.0.14) has been released and includes only one fix! Looking back through the archives, this has never happened before. At this point, I doubt anyone has been compromised. That being said, the Firefox team is obviously concerned enough that they've released a new version of Firefox with no other changes. If I were you, I wouldn't hestitate. Download and install the update. All it takes is a few minutes and a browser restart. Go ahead — Slaptijack will still be here when you get back.